Introductory rate - New subscribers get weekly print edition plus complete access to our premium digital content including our construction bid database with projects from Louisiana and Mississippi for just $39 for the first 4 weeks! At the end of your introduction your subscription will automatically renew at $99 every 4 weeks unless you notify us otherwise. 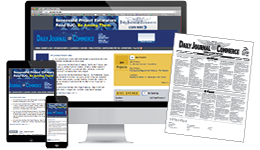 Your subscription includes one year of the print edition plus complete 24/7 access to our premium online content which includes our construction bid database. Gain access to thousands of consturction bid projects from Louisiana and Mississippi each year. Easily search by job type, area, to find projects to fit your needs. 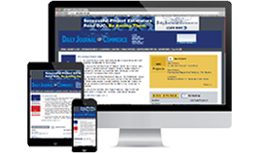 One year of complete 24/7 access to DJCgulf Coast .com including all our premium digital content. You'll be able to access our construction bid database, the digital edition of the paper, plus the DJC Sneak Peak Preview email alert listing new projects out for bid. Gain access to thousands of consturction bid projects from Louisiana and Mississippi each year. Easily search by job type, area, to find projects to fit your needs.